At first glance, the authors Dr. Seuss and Kurt Vonnegut don’t seem to have much in common. But soon, these two American writers and others like them will be on display at the American Writers Museum, the city’s newest cultural institution on the Magnificent Mile. The interactive museum, which has been in the works for a few years, is expected to open its doors at 180 North Michigan Avenue in March of 2017. “It’s especially significant that this institution is located in Chicago — home over the decades for so many great writers,” Cook County Board President Toni Preckwinkle said. Several famous authors like Gwendolyn Brooks, Carl Sandburg and Ernest Hemingway, have connections to the city. In addition to Hemingway’s house located in Oak Park, the museum says it’s collaborating with 50 authors’ homes and museums around the U.S.
Alderman Ed Burke, an author himself, who has supported the effort for the last five years, estimates the museum will draw 120,000 visitors a year — a number O’Hagan says is a “conservative” estimate. O’Hagan said he hopes the museum will appeal not only to bookworms, but all readers. He added because there’s such a long list of American writers and a limited amount of space, the museum will be constantly changing exhibits. “One of the challenges and one of the exciting things we have to deal with is the fact that we have such a richness in terms of the number of writers we could profile and present,” O’Hagan said. Andy Anway with Amaze Design is creating the museum exhibits. He says the designers have to figure out how to make a writing museum relevant in a digital world. For example, one of the interactive exhibits will be called, “Are you a Bukowski or Vonnegut?” in which visitors take a quiz to learn what writers they align with. 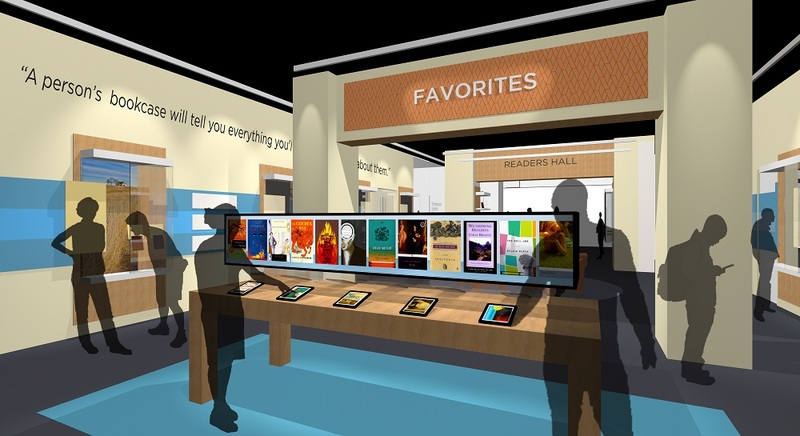 The museum will include new media, newly emerging authors, author readings and educational programs. The museum will be privately funded by donors. It also received grants from the National Endowment for the Humanities and the Chicago Community Trust. Museum officials say there’s still about $5 million left to raise to reach their goal.